The Metroid series feels like a third wheel in Nintendo's catalog falling well behind the likes of Mario and Zelda. While Metroid has never had the sales numbers of a series like Zelda, its fans are just as loyal while not as numerous. 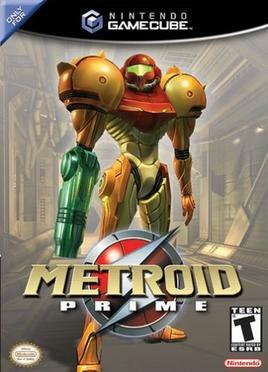 Sadly, Nintendo choose to completely ignore the series 25th anniversary and with the exception of a nod in the Wii U launch title Nintendo Land, 2010's Metroid Other M is the last we've heard from Samus Aran and the Big N could not have chosen a more divisive title for the bounty hunter's last bug hunt. While the debate rages over Other M between those who loved it and those who despise it, a group of dedicated fans have decided to honor the legendary series with an amazing follow up album to 2011's Harmony of a Hunter which was a fan tribute to the 25th Anniversary. Harmony of a Hunter: 101% Run is a brilliant 3 disc album which celebrates the 10th anniversary of the masterpiece that is Metroid Prime by exploring the various audio landscapes of the Metroid universe in a variety of styles from a very talented group of artists. Epic doesn't even begin to describe the quality of this production which rivals anything Nintendo could have done for the anniversary. Top this off with the fact that the entire album is FREE! and you have every reason to pop these tunes in and revisit Tallon IV or Zebes with the most famous bounty hunter in the video game universe. Check out the excellent preview trailer and then download the album. Enjoy!